I’m sure you have seen the hype on Facebook about the movie 100 years. 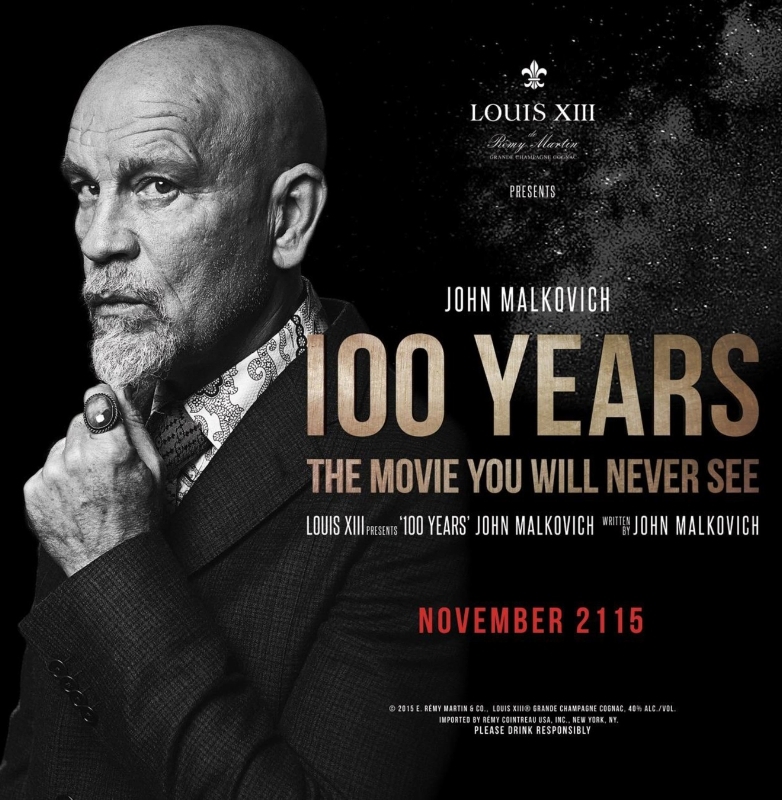 It’s the John Malkovich movie you will never get to see. Created by Robert Rodriguez who has taken us from Desperado to Spy Kids and beyond, it’s a movie that once it was finished it was locked away in a vault. It is scheduled to be screened at the Cannes Film Festival in 2115. For some reason people seemed to be losing their minds over it. I don’t understand why. I’ve heard things about how pretentious it is. Maybe, it is. Maybe it’s just a gimmick. Maybe it is legitimate art for the sake of being art. There is nothing wrong with that. I expect it to be a good film that will outlast all those that created it. Even if they have moved past all the movies we consider classics today, the people working on this project will live on. At the very least it should pique the interest of some people in the world in the future to look up the participants on wikipedia or whatever the replacement is. It becomes something greater than itself. Something else I have read is “how do you even know they can play it?” Assuming for a second they did not store the film digitally, the process of playing back film shouldn’t be lost to the ages in 100 years. The perfect example I used for this is that we can still play Edison was cylinders. Granted we could not order a wax cylinder player off Amazon and get two day shipping, but if you want to put the effort in, you can recreate it. Film will be the same. Even if they stored the file digitally what we consider modern file formats today are very well documented. The future world may have to program a new player for the file format – it will be doable. The problem with the cruft of 80s and 90s software in specialized formats is that the formats were never well documented. This makes those files hard to recreate and open. I think the biggest problem is the “you can’t see it syndrome”. Most of the people commenting wouldn’t even have gone to the theater to see the movie anyways. They save their experiences for popcorn pictures and not for film that rises above. This is what I assume this is, but then again it might just be a sequel to Transformers and they hope in 100 years trademark law will sort that out. Regardless people are talking about it solely because they can’t see it. That is what makes this a hype machine. People complaining because they can’t get access to something. If they hadn’t known, they never would have cared. I’m hoping my grandkids or great-grandkids take the time to watch the film. I love Malkovich and I’m a little disheartened I can’t watch it. I would have gone to the theaters to see it if it was released today – or at least paid for it on Amazon Prime Video. Yet, I understand what they are trying to do. I just don’t understand why the hate towards something just because you can’t see it. I think I may have to offer exclusive access to my home office. Then I’ll have people clamoring to get in PT Barnum style. Then they will see it’s just a room that they paid way too much to enter. Similarly this is just a movie that has expanded into something greater than itself. An expansion that is only caused by your inability to watch it right now in this instant on world.